The Red Chamber of the National Assembly is made up of 109 senators drawn from all the 36 states of the federation. 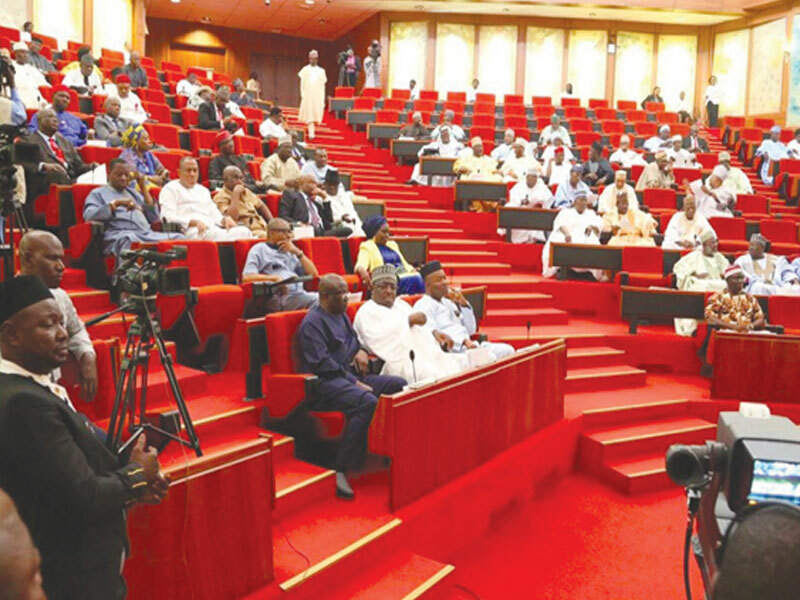 Each state produces three senators, while the Federal Capital Territory (FCT) has one. Of this number, however, 16 are former governors representing their various senatorial districts. They include AdamuAliero (Kebbi); AliyuWamako (Sokoto); Ahmed Yerima (Zamfara); Kabiru Gaya (Kano); Bukar Ibrahim (Yobe); AbdullahiAdamu (Nasarawa); George Akume (Benue) and Joshua Dariye (Plateau), who is currently serving a 14-year jail term in Jos prisons and has indicated interest in a re-election. Others are the Senate President, Dr. BukolaSaraki (Kwara); DanjumaGoje (Gombe); GodswillAkpabio (AkwaIbom); ShaabaLafiagi (Kwara); RabiuKwankwaso (Kano); Theodore Orji (Abia); Sam Egwu (Ebonyi) and Jonah Jang. Most of these ex-governors, because of the enormous powers they wielded as the chief executives of their states, manipulated their ways to the Senate after serving out the constitutional eight years. Saraki was a two-time governor of Kwara State from 2003 to 2011 on the platform of the Peoples Democratic Party (PDP), and contested the Kwara Central Senatorial seat and won in 2011. 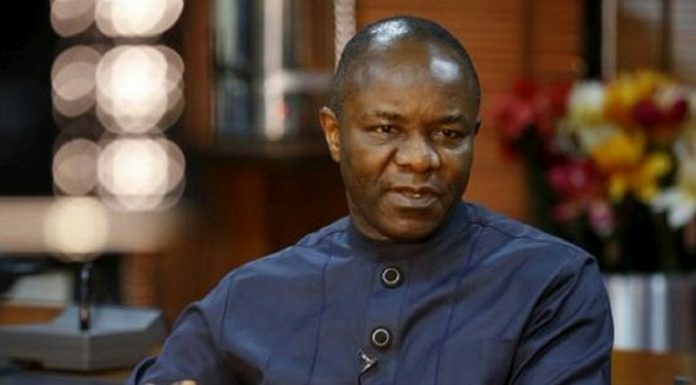 He, along with some PDP heavyweights, defected in 2014 to the All Progressives Congress (APC), under which he sought re-election in 2015 and won. He emerged as Senate President on June 9, 2015 against the wish of his party leadership and the Presidency and since then, there has been no love lost between the leadership of the National Assembly as represented by Saraki and the Presidency. Now, Saraki has thrown his hat in the ring for the nation’s number one position after returning to the PDP last month. 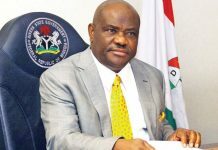 He is now busy traversing the whole country canvassing for support of party leaders and delegates ahead of the October 6 presidential primaries of the PDP in Port Harcourt, Rivers State capital. There are, however, indications that he may return to the Senate in 2019 if he fails to clinch the presidential ticket of the party as it was reported that a proxy had collected his PDP Senate nomination form. 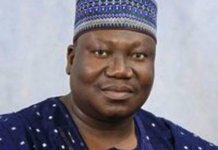 Jang, the immediate-past governor of Plateau State and first-time senator, also has ambition like Saraki to become Nigeria’s President in 2019. 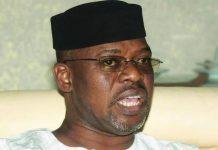 He is one of the 12 presidential aspirants of the PDP that will slug it out during the October 6 primaries. It is unlikely that he will return to the Red Chambers in 2019. Kwankwaso, a first-time senator and former two-time governor of Kano State, who along with 12 other APC senators defected to the PDP during Senate plenary on July 24, is also in the PDP Presidential race and may spring some surprises if his performance during the 2015 APC presidential primaries in Lagos, where he came second after Buhari is anything to go by. At that convention, Kwankwaso beat AtikuAbubakar, a former vice-president to the third position. And because of his political strength in Kano, there are indications that if he fails to win the presidential primaries, the party might compensate Kwankwaso with a return ticket to the Senate. Lafiagi, a former Governor of Kwara State during the ill-fated third republic from January, 1992 to November, 1993, may not seek re-election to the Senate in 2019 as his political godfather, Saraki, is said to have chosen the incumbent governor of the state, Abdulfatai Ahmed, as his replacement. Egwu, who served as the governor of Ebonyi State from 1999 to 2007 and a first-time senator, has not hidden his readiness to return to the Senate in 2019 on the platform of the PDP. Same can be said of Goje, a ranking PDP senator, who was Gombe State Governor from 2003 to 2011; Theodore Orji, first-time PDP senator and former Governor of Abia State from 2007 to 2015; Bukar Ibrahim, APC ranking senator and three-time governor of Yobe State from 1992 to 1993 and 1999 to 2007 and Gaya, a ranking APC senator and former governor of Kano State from 1992 to 1993. Others are Aliero, APC ranking senator and ex-governor of Kebbi State from 1999 to 2017; Wamakko, APC senator and immediate-past governor of Sokoto State; Yerima, APC ranking senator and former Governor of Zamfara State; Adamu, ranking senator and former Governor of Nasarawa State from 1999 to 2017; Akume, ranking senator and former Governor of Benue State from 1999 to 2017; Dariye, jailed ranking APC senator and former Governor of Plateau State from 1999 to 2007, who was reported to have collected Senate nomination form for 2019 elections by proxy and Akpabio, first-time senator and immediate-past governor of AkwaIbom State, who few weeks back left the PDP and pitched tent with APC and is itching to return to the Red Chambers in 2019. Apart from these ex-governors turned senators, who are planning to return in 2019, there are some serving governors, who have made public their intention to move to the Senate after their tenure in May, 2019. They include Governor IbikunleAmosun of Ogun State, who was a senator before becoming governor; his Oyo State counterpart, AbiolaAjumobi; Abdulfatai Ahmed of Kwara State; RochasOkorocha of Imo state; Yobe State Governor, Ibrahim Gaidam of Yobe State; Ibrahim Shettima of Borno State; Abdul-Aziz Yari of Zamfara State and UmaruTanko Al-Makura of Nasarawa State. All the aforementioned senators and governors have another hurdle to scale as they are to slug it out with other aspirants in their parties’ primaries to be conducted later this month to determine those that will fly the Senatorial flags during the February, 2019 general election. One thing though, is the influx of former governors into the Senate affecting or improving the quality of debate as well as the overall performance of this all-important upper chamber of the National Assembly? This is one question that the voters must have, ultimately, at the back of their minds as they would file out to elect their choice candidates in next year’s election.